When Dr. Ebi Ofrey’s father had two strokes within the space of one year, he was deeply saddened he couldn’t help because he was far away from his father. His mother’s call shortly after saying he had neglected them further increased the pain he felt, he realized that while focusing on his work and life in general he had neglected his elderly parents. 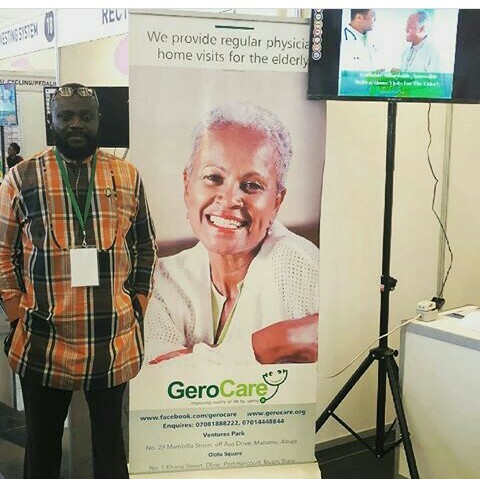 It was at this point the idea to found Gerocare came to him to help other people provide care for their elderly ones. GeroCare is a subscription-based service for the elderly that entitles them to regular doctor home visits. The service advocates preventive healthcare for the elderly as against waiting till something goes wrong. “For most people the only time they get a report from their parents is when something goes wrong. Gerocare was created to ensure people are able to receive regular updates about the welfare of their aged parents” Dr. Ebi said. After graduating from medical school in 2003 Dr. Ebi went on to work at the Bayelsa State Government Teaching Hospital before proceeding to Malaysia in 2010 to obtain his MBA at UCSI University. Upon his return to Nigeria, Dr. Ebi was made the Medical Director for a state hospital in Bayelsa before which he moved to the Bayelsa State Health Insurance Scheme as Head of Medical Services. He left the Bayelsa State Health Insurance Scheme to focus fully on GeroCare. Dr. Ebi stated that his study on blue ocean strategy during his MBA year and his experience as a Medical Doctor helped him develop the business and operating model Gerocare currently uses. Before fully launching Gerocare, Dr. Ebi tested the concept for three years in Port Harcourt, River States. His first set of clients were his cousins who paid him to care for their elderly parents. “The service was a bit more expensive back then” Dr. Ebi said. Clients had to pay a one time registration fee of 50,000 Naira ($139) and a monthly subscription fee of 20,000 Naira ($56) per patient. At the time the service was offline and there was no app clients could interact with. After successfully building his first set of clients and testing the model, he figured he had to sign up more doctors in order to scale the business. It was not too long after this he brainstormed with the company’s COO (his college roommate) Ajibola Meraiyebu in 2016 to leverage technology to scale the business (nationwide) and improve service delivery. Once both established the importance of technology, they then brought Bruce Lucas (CTO) on board. “I first met Bruce during a tech seminar in Bayelsa and thereafter during a social media marketing training” Dr. Ebi said. The management team started having conversations in January 2017 about the new technology solution and by February there was a call by Venture Platforms for startups to apply to its incubation program. They eventually got into the program and were able fully launch Gerocare in May 2017. According to Dr. Ebi, they didn’t have a website or an app before getting into the Ventures Platform Program but they had a very clear understanding of their business idea. After getting into the program they built their app and tested a few business models before they arrived at the current one. At the initial stage, they offered the first consultation for free but a number of clients abused the model and didn’t return for another consultation after the first. In some cases after signing up for the free consultation some clients didn’t follow-through, Dr. Ebi suspects it was so most likely because it didn’t cost them anything. His team eventually had to stop making the first consultation available for free. Majority of the startup’s clients are Nigerians in diaspora who pay for their parents to get healthcare, however there are about 3 elderly patients (in Abuja) who pay for themselves. 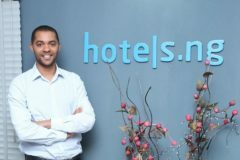 The startup’s clientele also includes include Nigerians who are living within the country but away from their parents. The startup also caters to enterprise clients. Dr. Ebi believes clients do not need to ask the permission of their elderly parents before signing up on Gerocare. According to him “Many parents will most likely decline in a bid to help their children save money or save them the stress”. Children should gift subscription to Gerocare to their elderly parents. When they do this, my experience has been that parents are very appreciative of the gesture”. At the moment Gerocare currently provides two services, one for individuals and another for entreprises. The service for individuals caters to people signing up their parents on the platform while the entreprise services caters to NGOs and organizations who want to sign up a group of parents on the platform. The startup also works with HMOs who need doctors to provide home service to their clients. For enterprise clients there is typically a revenue sharing arrangement. NGOs can also pay Gerocare to visit a group of patients in a selected community. Individual clients currently pay 6,300 Naira per month to receive a visitation from a doctor. Drugs and blood tests are done at additional costs. Additional visits within the month might result in extra costs although patients who have paid for multiple subscriptions can keep in touch with their doctors after a visit at no extra cost. Doctors get a certain percentage of the subscription fee which the Founder was unwilling to disclose. The minimum requirement for doctors to get on the platform is 3 – 4 years post NYSC experience. Doctors in key locations like Lagos and Ibadan have about 3 patients every month. Clients create an account on the Gerocare platform and enter the details of the patient they intend to sign up. Once clients pay, their patients are immediately matched with a doctor closest to them who will provide them regular home visits. Once the matched doctor is notified, she contacts the patient to schedule her first visit. Once the doctor creates an appointment, the Sponsor (Client) can see the details via the app and will also get an email. Sponsors also receive an alert when the doctor visits the patient (i.e. checks in) and when she checks out. After their visits, doctors uploads a report which sponsors can also read through. A Senior Medical Consultant will review the report the doctor has uploaded to ensure the recommendations are in order. These Senior Consultants also get a small percentage of the subscription fee for each case they review. Patients are unable to rate doctors via the app but Gerocare’s client services team calls them via phone to understand the improvement points for doctors’ visit. If patients rate a doctor’s first visit poorly, the patient will be reassigned to another doctor. After a doctor sees a patient, a partner pharmacy or lab visits to drop off drugs or conduct a test where necessary depending on the sponsor’s approval. Once sponsors decide they want Gerocare to proceed with providing the drugs or conducting a test, the cost can be deducted from their in app wallet. Concerning the issue of patients having to deal with several touchpoints, Dr. Ebi said that asides the doctor every other person has very limited interaction with the client. He further stated “it’s just like in a hospital you leave the consulting room and go to the pharmacy or the lab but only it’s now happening in the comfort of your home”. The startup has a partnership network that comprises about 600 pharmacies across Nigeria. As regarding emergency and hospital visits, the startup is currently trying to work out an agreement with HMOs to make this happen seamlessly. For emergency logistics, it is also seeking partnerships across the country to handle this. It is already working on partnering with Emro (subscription based emergency platform) in Lagos to handle emergency logistics. As at today they currently work with clients to use their own hospitals for emergency cases. One of the challenges the startup has had with dealing with hospitals directly was the difficulty of collecting payments from clients on behalf of these hospitals. Gerocare currently has about 700 users on the platform till date with about 100 active. There are about 747 doctors on the platform across Nigeria present in all states expect in Kebbi State due to the limited number of doctors in the state. The business has been growing by 22% month-on-month (in subscriptions) and plans to also roll out the service to other African nations. Furthermore, the startup is considering expanding its service to other patients outside its current target of elderly people. This is as a result of feedback they received from clients outside their current target who have asked to also receive the service. 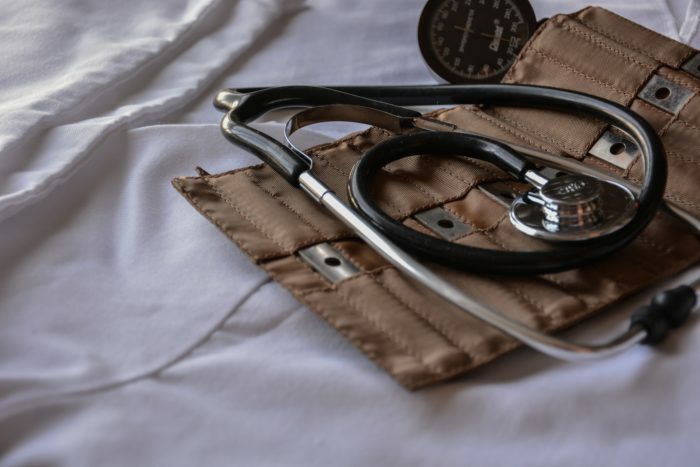 One of the use cases is someone below the age of 50 who is currently in a Nigerian state where she isn’t resident and would like to rely on Gerocare’s platform to receive healthcare. Dr. Ebi believes a good number of individuals (who should be their clients) lose their elderly parents quite early because they have the opinion that they do not need regular checkup. Dr. Ebi further stated “These individuals believe that since their parents are not ill or in a critical condition there is no reason to pay a doctor to see them”. In order to highlight the importance of preventive healthcare, Dr. Ebi typically tells a story of an elderly man who went to church service looking healthy and returned to speak to his friend on the phone. After sometime his friend could no longer hear him completely unaware that the man had passed while on the call. Everyone was shocked at his sudden demise. “If the man had access to the sort of service Gerocare offers it would have been easy to detect what the problem was and prevent his sudden demise” Dr. Ebi said. This in his opinion is Gerocare’s mission; to make it easier for individuals to provide preventive healthcare to their elderly parents so they can lead longer and happier lives. The HNG internship is bringing in a lot of people who would not have had the chance to be a part of the ecosystem into the space.